MICHAEL ROMEO - WAR OF THE WORLDS PT. 1 | Releases | Wizard LTD.
"WAR OF THE WORLDS PT. 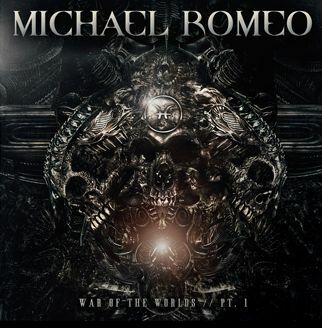 1"
Founder and Guitarist of Symphony X, MICHAEL ROMEO is here with his new solo project, "War of the Worlds, Pt. 1”, a mixture of metal, rock, prog and symphonic elements. The lush cinematic production includes an all-star line-up of Romeo on guitar, bass player John "JD" DeServio (Black Label Society), drummer John Macaluso (Yngwie, Ark, James LaBrie) and newcomer Rick Castellano on vocals.